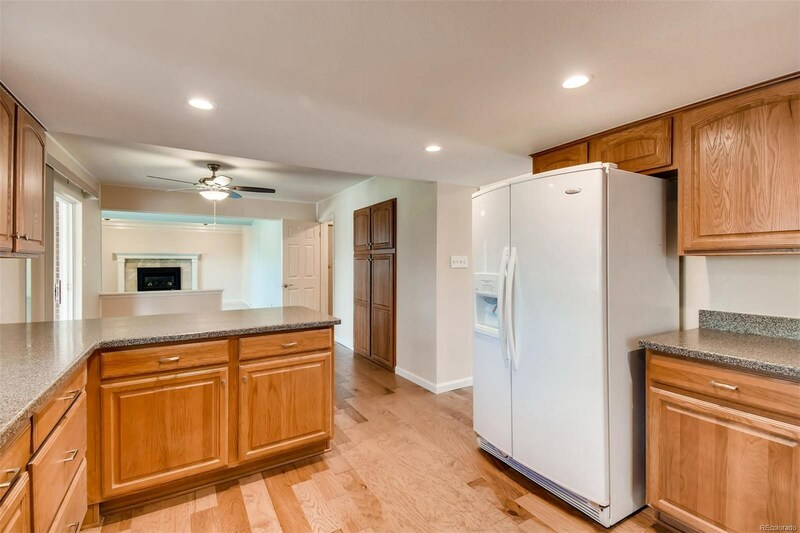 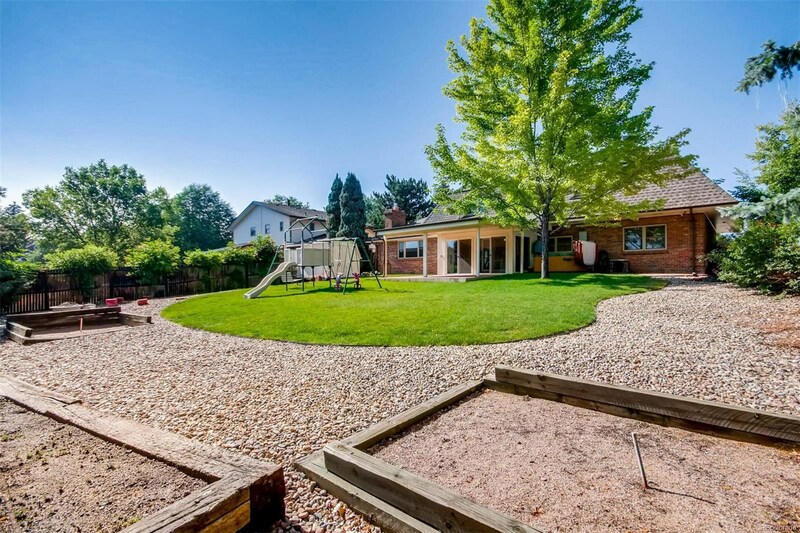 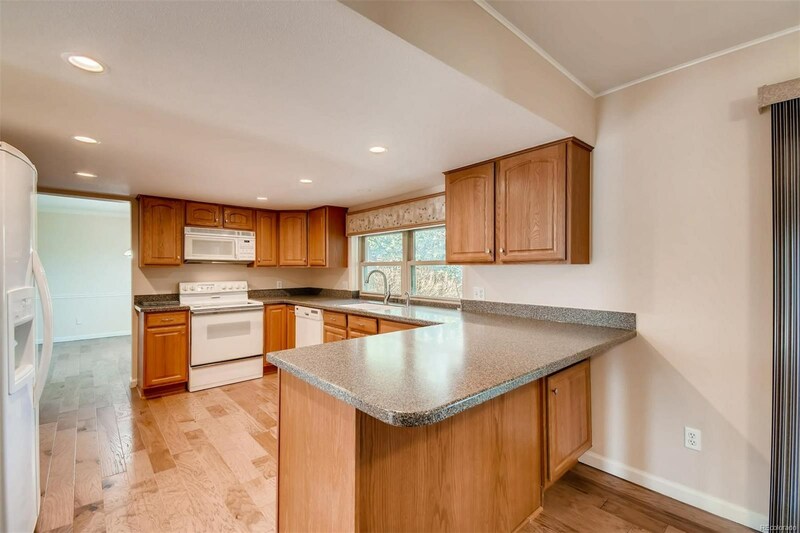 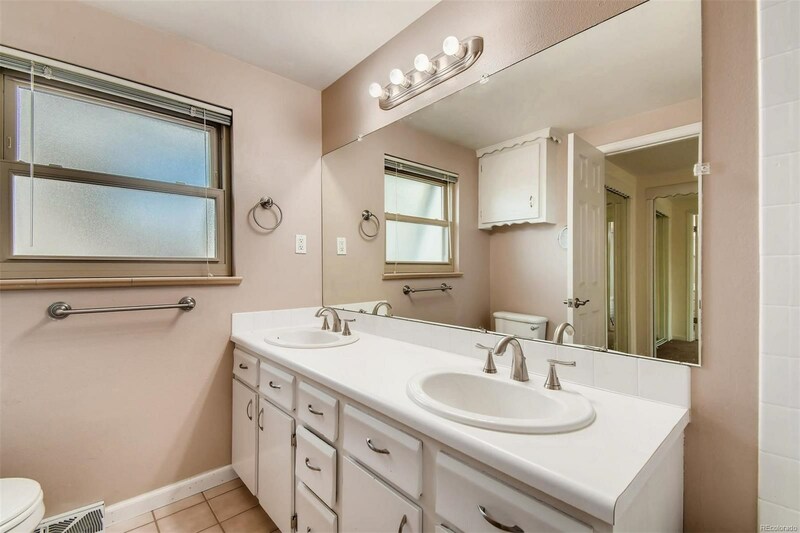 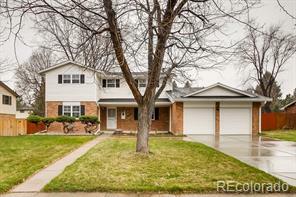 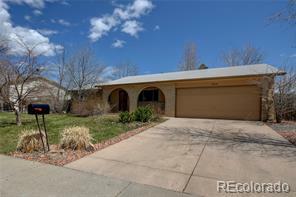 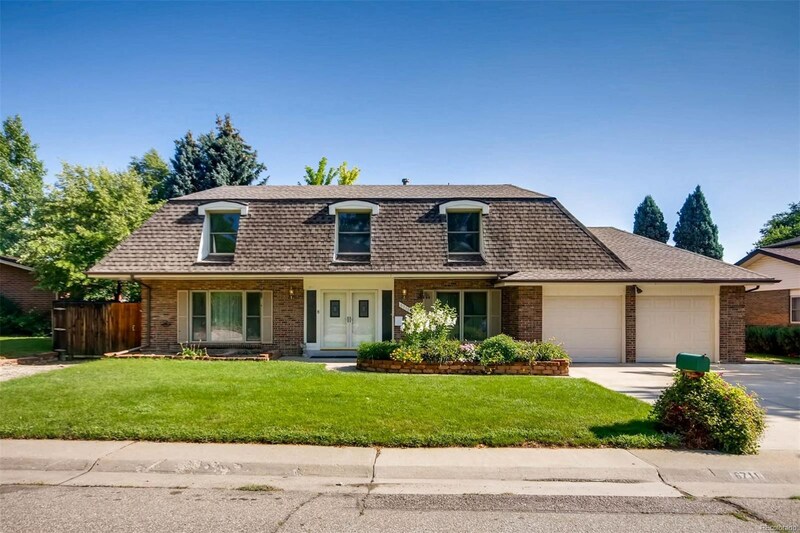 Updated 5 bed 4 bath brick 2 story home on cul de sac in charming Columbine Knolls community! 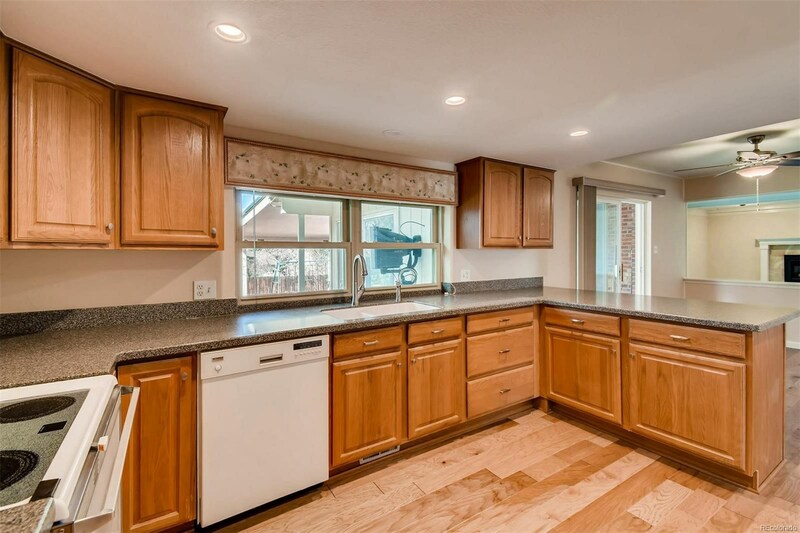 Kitchen updated w/solid surface counter-tops, new cabinets and sink, built in microwave and pantry. 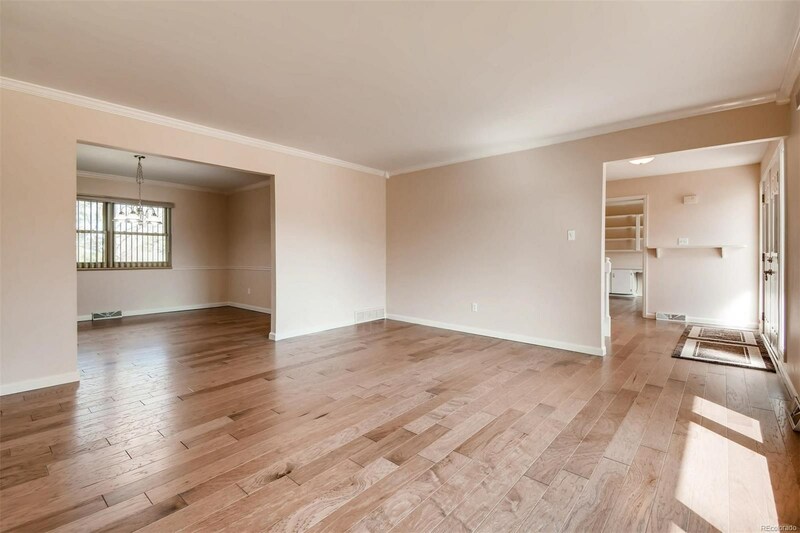 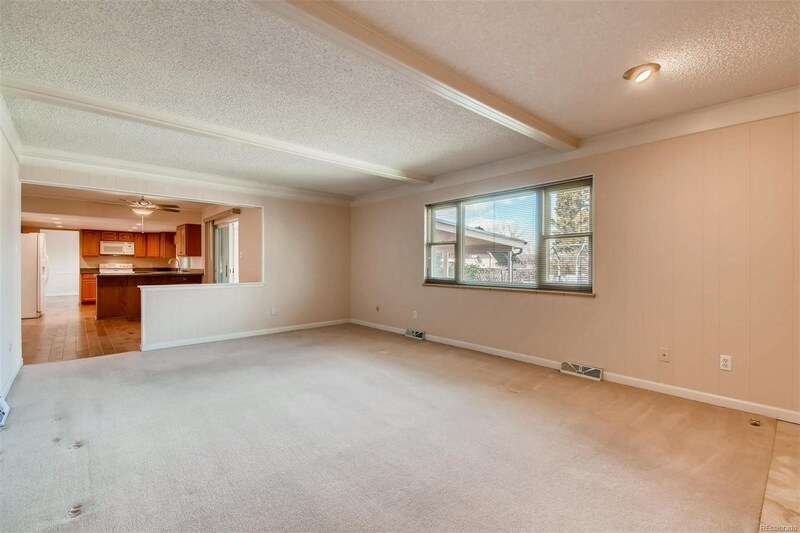 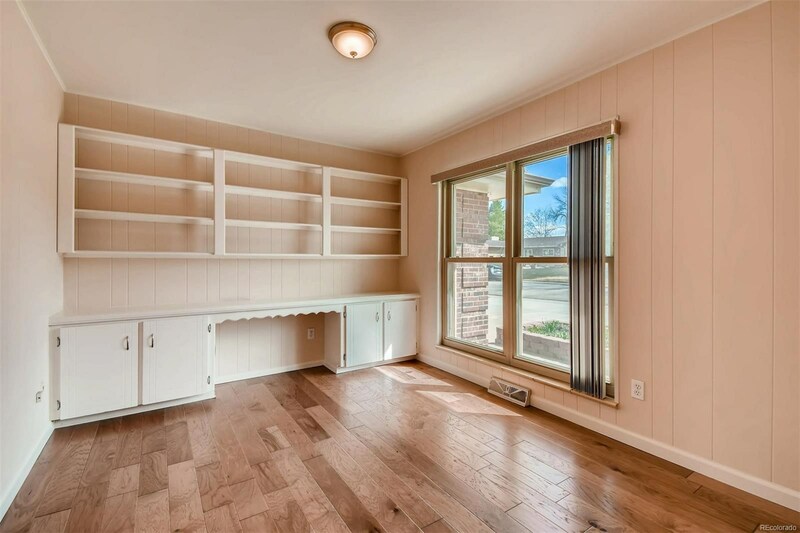 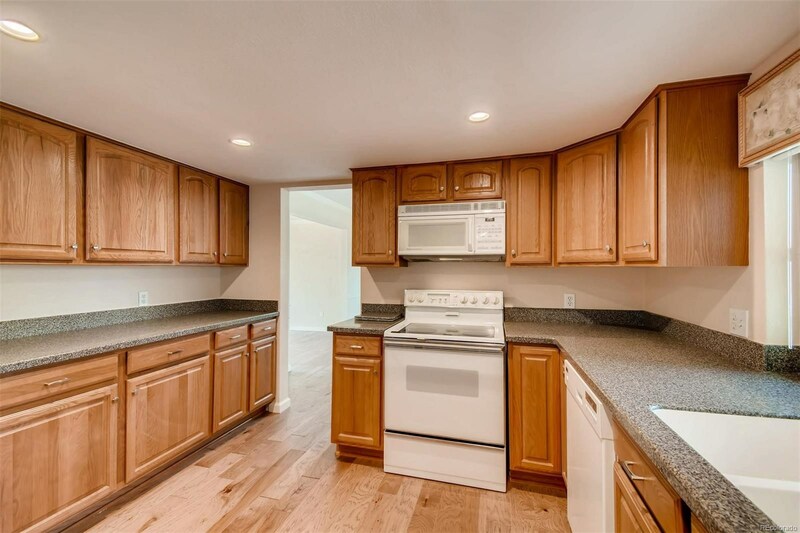 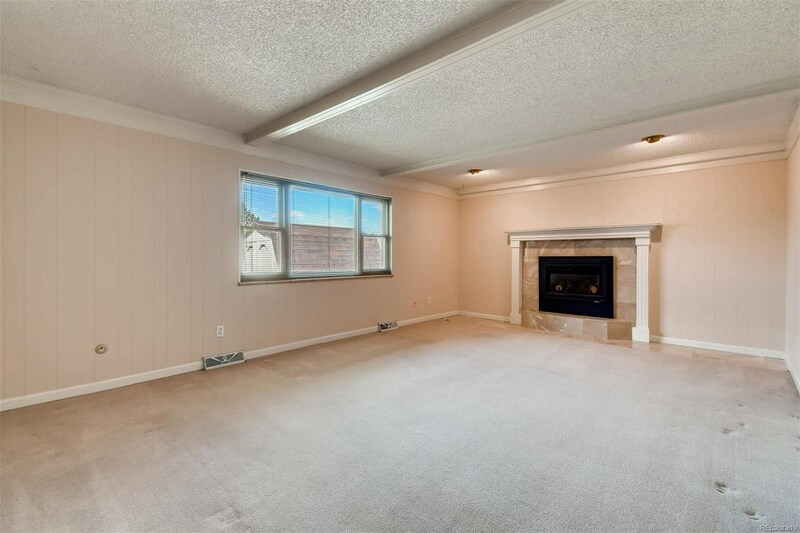 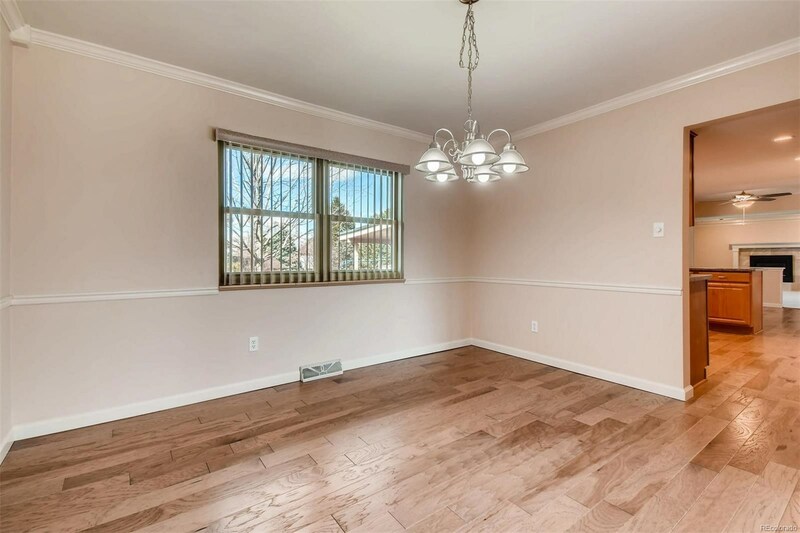 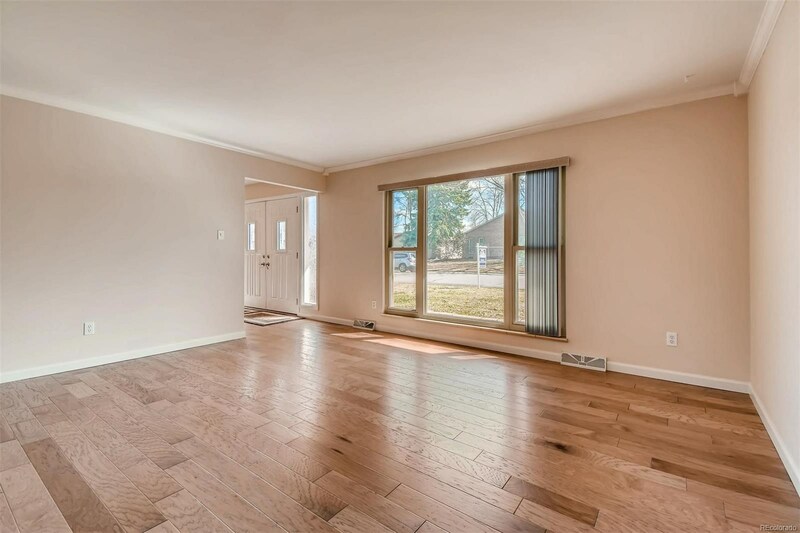 Spacious main level includes brand new wood floors, study with French doors and built in shelving, family room opens to kitchen with beautiful Heat and Glo gas fireplace, formal dining area adjacent to living room and 1/2 bath. 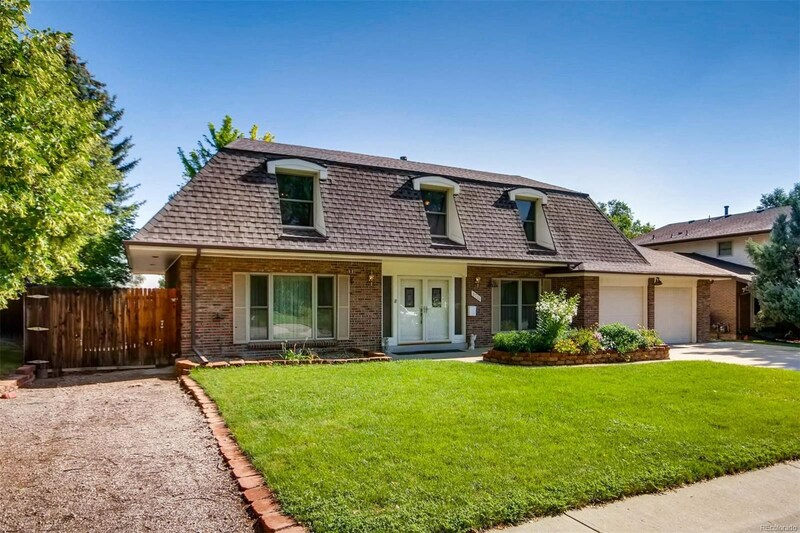 New lighting and triple pane windows installed throughout home! 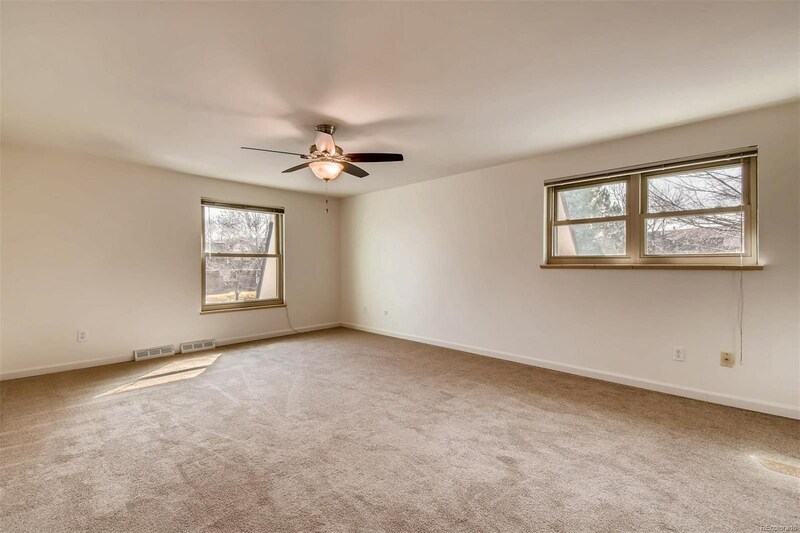 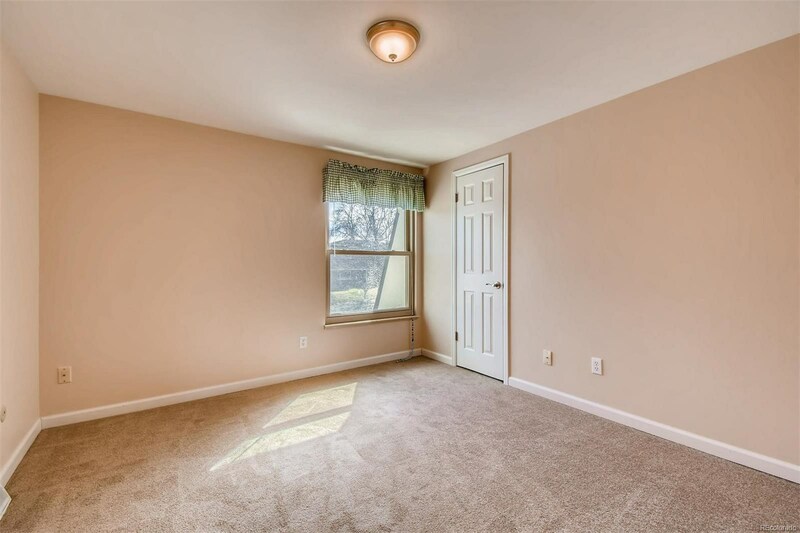 Brand new carpet upstairs with 4 beds and 2 full baths. 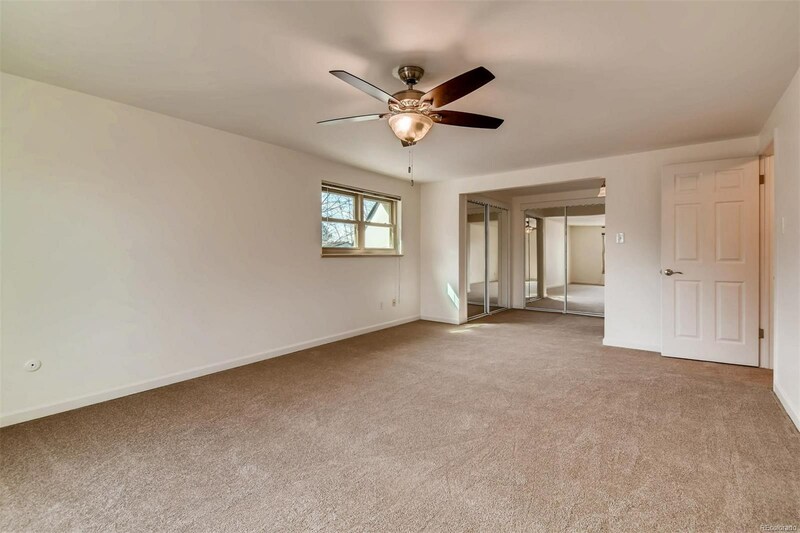 Huge master bedroom! 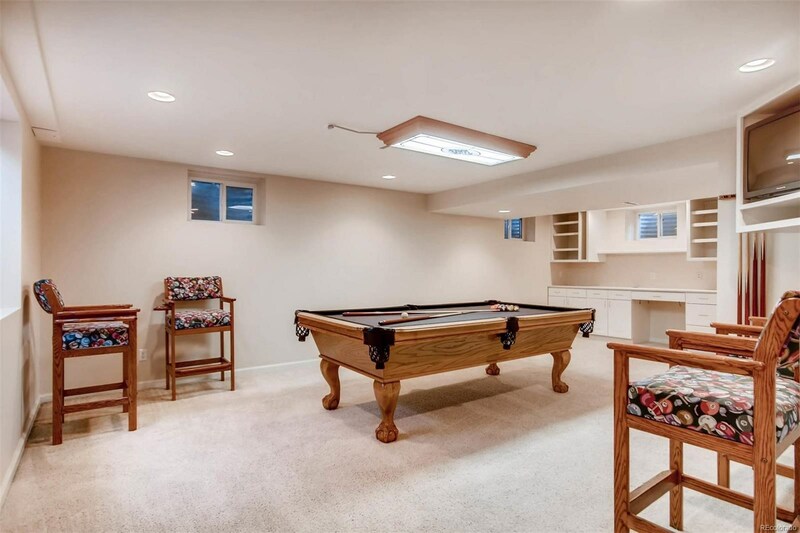 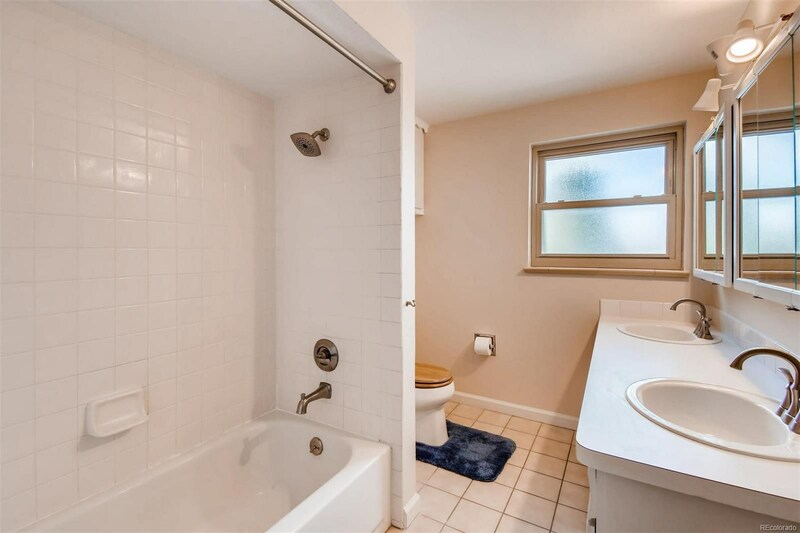 Finished basement with full bath, wet bar and recreation room large enough for pool table! 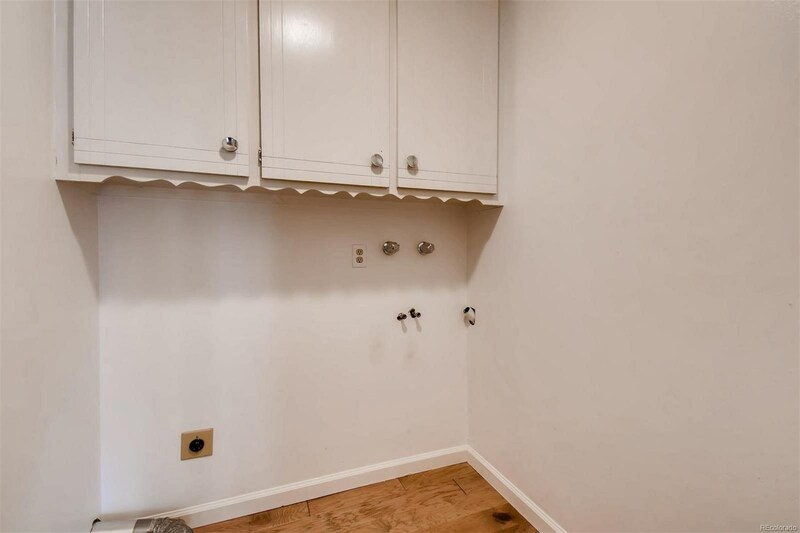 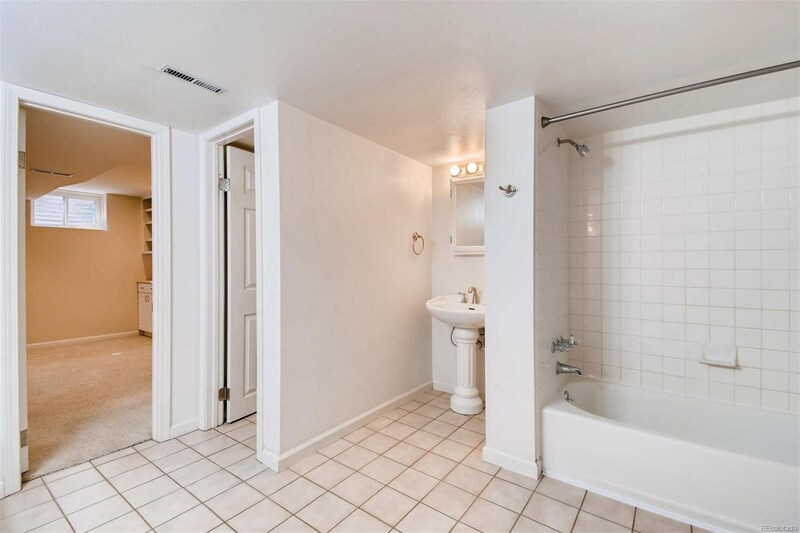 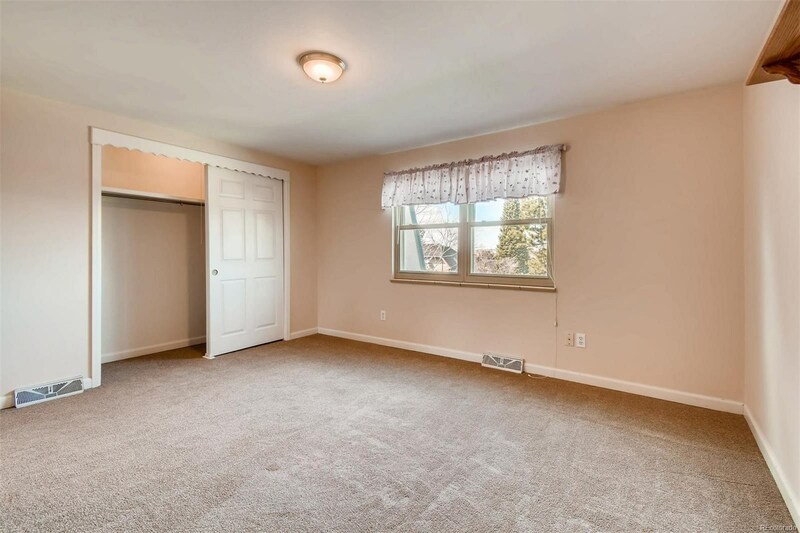 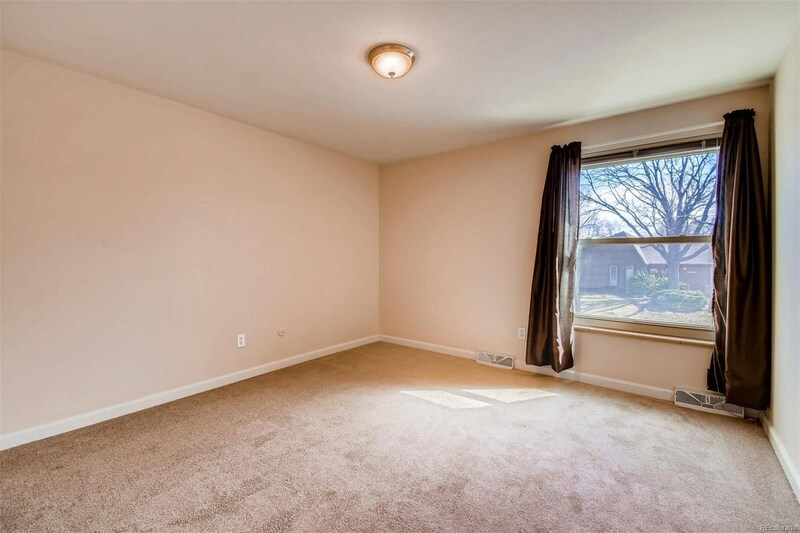 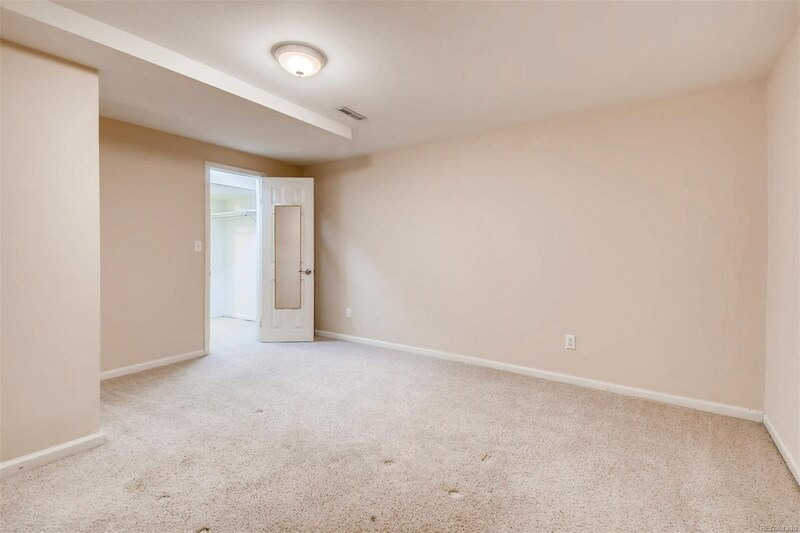 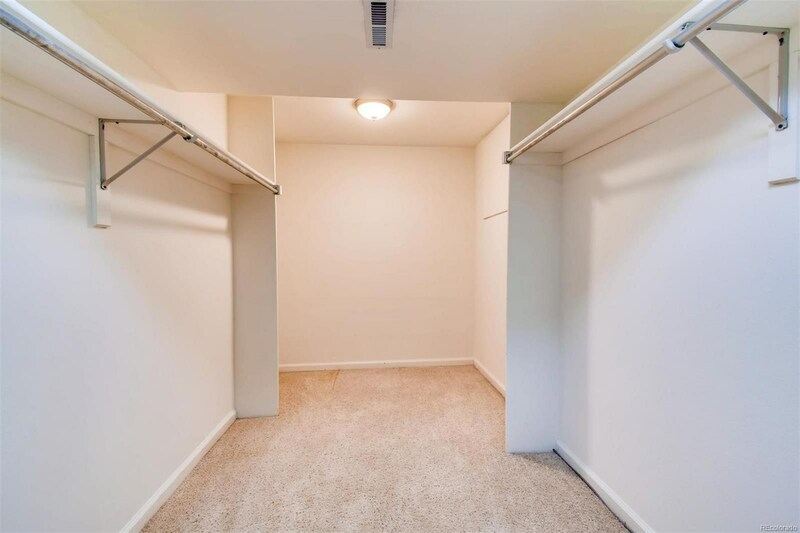 Non-conforming bedroom has huge walk-in closet. 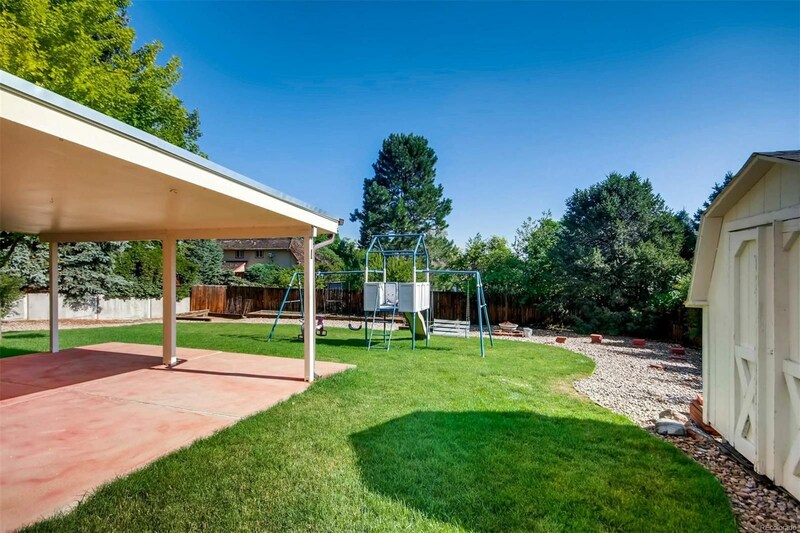 Access back yard via enclosed porch and covered patio from kitchen. 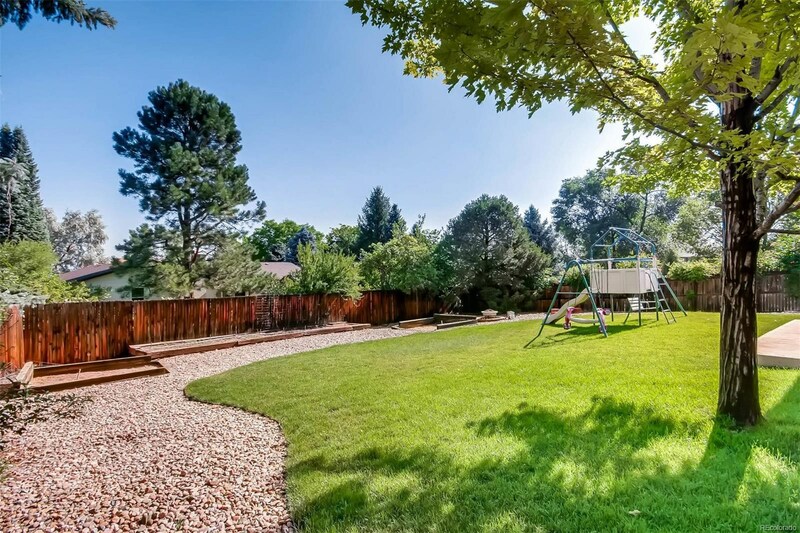 Fenced yard includes mature landscaping, sprinkler system, garden, horse shoe pit, and 8 X 10 storage shed. 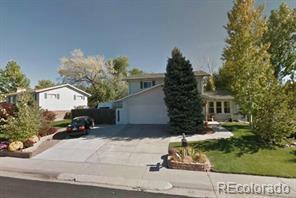 Newer roof (class 4 high impact shingles) installed 5 years ago. 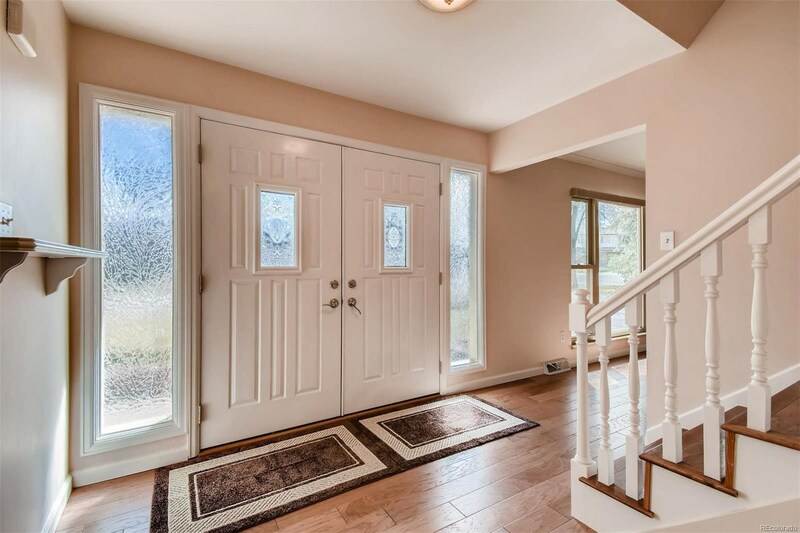 New insulated metal garage doors. 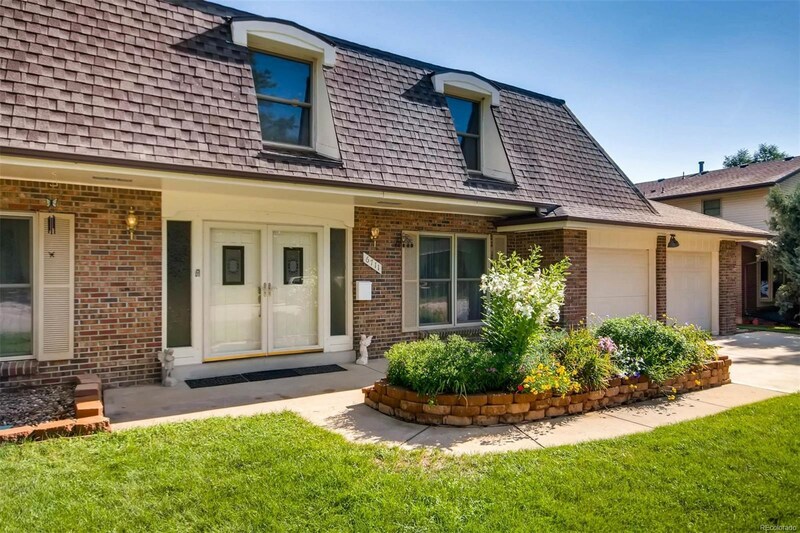 Newer driveway fits 3 cars! 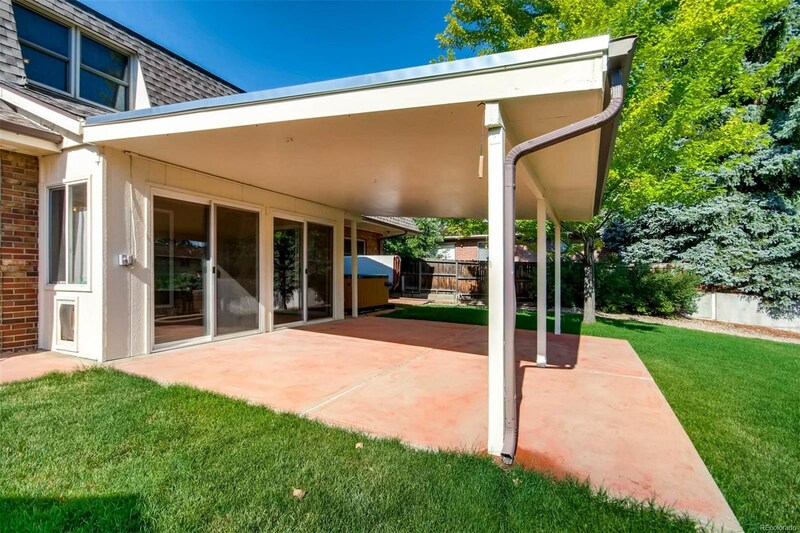 Newer driveway. 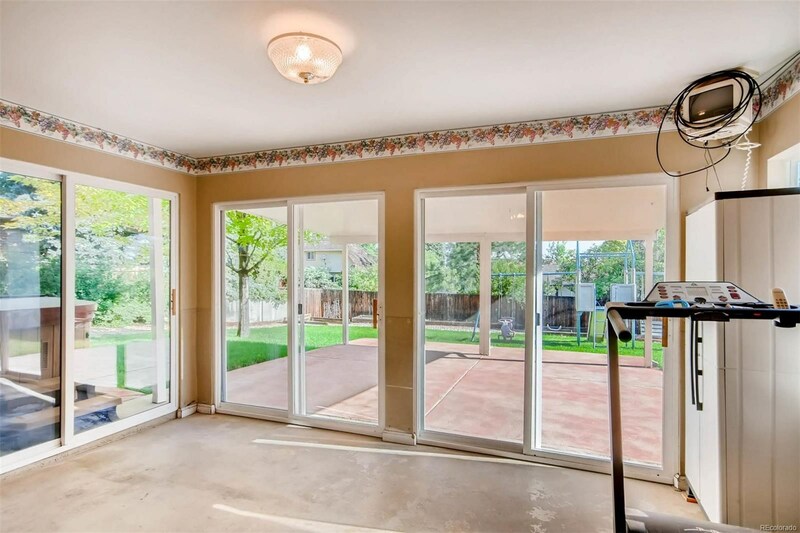 New insulated metal garage doors.